As I’ve written before, one of my biggest concerns with the new emphasis on gaining consent for placing cookies on a user’s computer is that it means mainstream sites and businesses will spend the time and effort to make systems that will interrupt the browsing experience, whereas those that are planning nefarious activities won’t bother. Ironically the legislation will make the user experience of sites that mean you and your data harm smoother and easier than the user experience of sites that are being responsible about cookies. 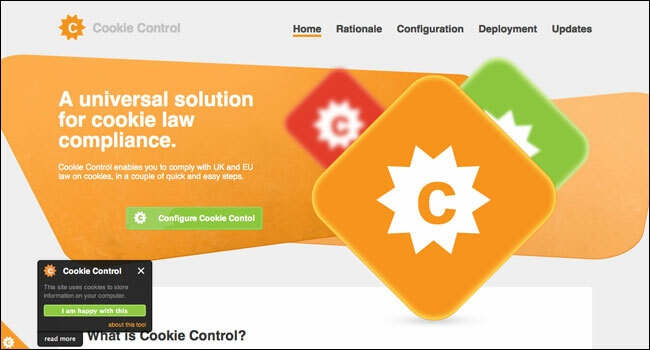 You’ll begin to see cookie warning messages appearing on a website near you soon, and today for the first time I encountered Civic’s “Cookie Control”, which promises a “universal solution for cookie law compliance”. 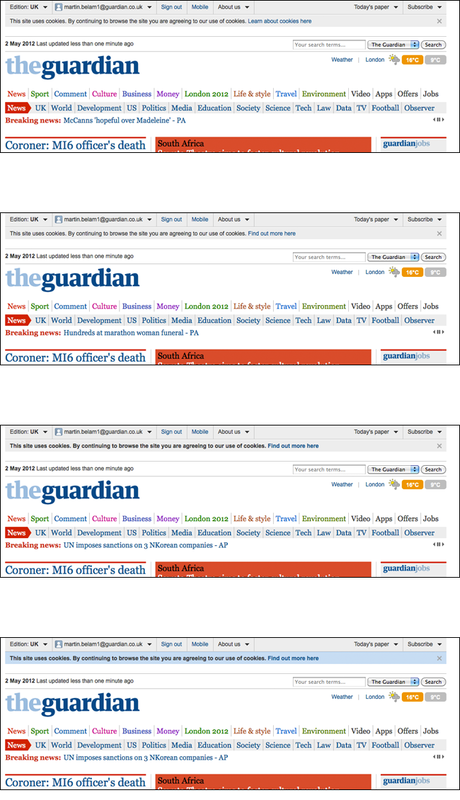 At the Guardian we’ve been discretely testing some variations of showing a message about cookies to a small percentage of our audience to gauge their reaction. By Martin Belam on 10 May 2012. This is an issue that I have been frankly, sort of trying to ignore as the impact on my websites worries me a bit. However, there is another potential minefield in this and that is how a website handles cookies across subdomains when used to deliver images/css files etc. OK - a competent website will have designed their image serving subdomains to disable cookies, but the default setting is for a server to use them. Why have you not illustrated this with a photo of a cookie? EU Directive 4234019a-1034.2 states that all articles discussing the new cookie laws must have a picture of a cookie. 2. You can't set any cookies until the user has opted in (and not at all if they opt out). Using this method, you can't say that the user has opted in until they "continue to browse" the site - but one assumes you already set cookies when loading that first page, if you're setting any at all. Stupid and unnecessary law which is intrusive to the extreme to comply with properly. I see you're using an 'implied consent' approach, ie "We're using cookies and will assume that's fine unless you tell us otherwise". Is that enough to comply with the law? I hope so - it'll mean less disruption for users - but I haven't been able to find out conclusively. That 75% of the 2,000 people surveyed didn't initially know about the cookie directive is crazy. Is there any point in trying to educate the general web user to try and gain a high rate of cookie acceptance?